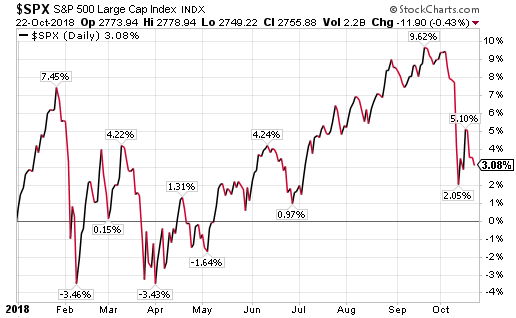 On a price only basis the S&P 500 Index remains up 3.08% year to date and up 4.66% on a total return basis. As the following chart does show, the S&P is off its late September high by 6.54%. Below the surface though more widespread weakness has already taken place. The below chart separates the S&P 500 holdings by decile based on the percent return each company is below its 52-week high price. Only the top three deciles have an average return off the high less than negative 10%. 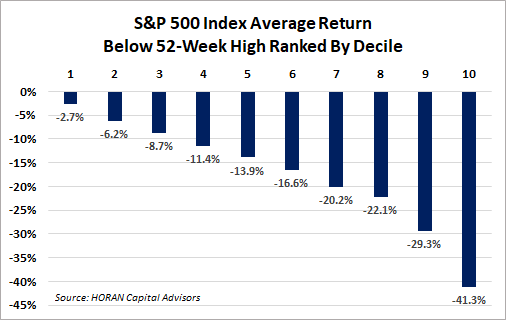 The other seven deciles have average returns below highs worse than negative 10%. In other words, 350 stocks in the S&P 500 Index or 69% are in correction territory. Of these 350 stocks, 176 companies, or 34%, are in bear market territory. Certainly important market technical levels are being tested at the moment; however, a great deal of widespread weakness has already occurred with companies. 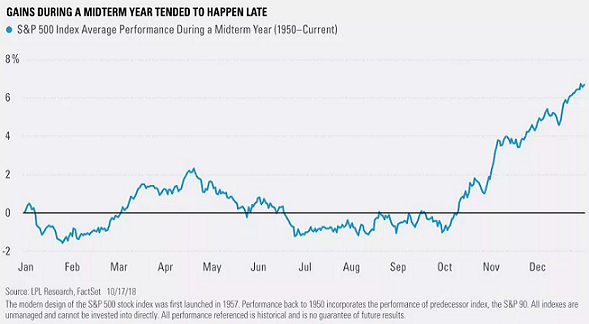 And if this mid-term election year plays out like past mid-term years, the market historically has generated most of its mid-term gains in the last two months of the year.